A post office in this area opened in 1908, named for Count Waldersee of Germany (1832-1904) who commanded Allied troops during the 1900 Boxer Rebellion in China. Behind the store in the left foreground is the first Christ Lutheran Church, built in 1894. 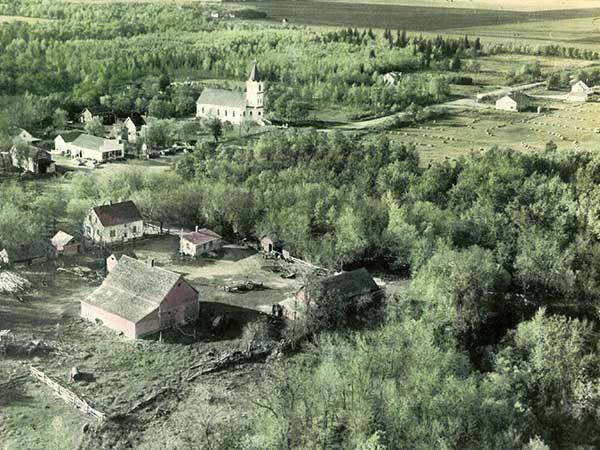 The farmyard in foreground belonged to Fred and Rosalie Schmidt. 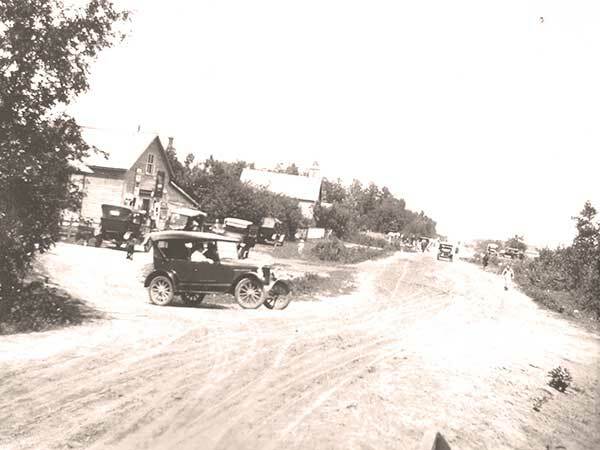 The store across the road belonged to Jack Single and family, next to which was the manse and barn for the minister of the new Christ Lutheran Church built between 1942 and 1945, across the road from Empey’s Garage. Go here for a list of historic sites in Waldersee. We thank Adrene Schmidt for providing information used here.